First of all, it’s a Beauty and the Beast retelling. With a badass Beauty. Secondly, it also has elements of the Russian tale of “Tsarevitch Ivan, the Firebird and the Gray Wolf”. If that does not sound amazing, then I don’t know what does. 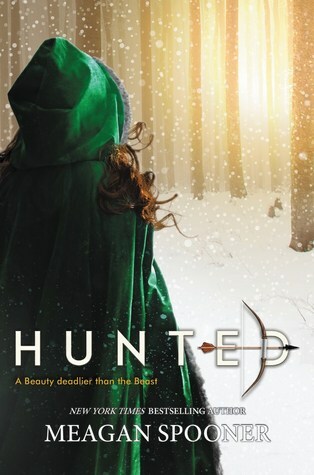 Hunted is now on my radar! I’ve never tried a book like this before…. but I liked your description of it so, it’s going on my TBR list! I love fairy tale retellings! Sometimes they can be hit-or-miss, but I have really high hopes for this one! Great pick! Beauty and the Beast is my favorite fairytale so I’m really excited for this one too. I did not know this one has a Russian influence to it! It does open up something different about it, doesn’t it? It does, it gives such a new spin to a well-known classic 🙂 I definitely have high expectations for this one!